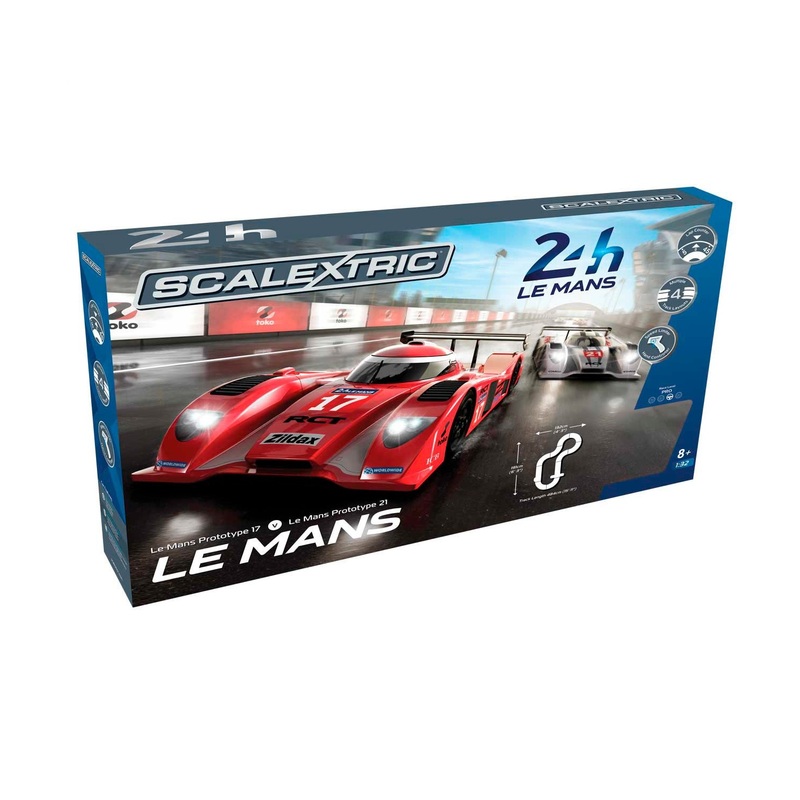 Take part in your own version of Le Mans with this fantastic set!
. Feel the sense of accomplishment of making it to the end of an endurance race, with nearly five meters of track and four different track configurations to pick from, plus a lap counter to keep track of your progress against your opponent. Even if you prefer shorter, quicker races this set is perfect with its two Super Resistant Le Mans Prototype cars that can keep going even after more serious accidents. There’s also an adjustable power setting on the hand controllers to limit the speed of a race, perfect for keeping less experienced racers on the track!